Christmas is finally here and we would love you to come along to the launch of Christmas by the River this year. Explore the vast range of market stalls on offer before enjoying some traditional festivities in Hay's Galleria. Organised by Team London Bridge, from 16:30 join the children of Snowsfields and Tower Bridge Primary Schools along with volunteers from local businesses as they carol their way from City Hall, Potters Fields Park along to Hay’s Galleria. The Mayor of Southwark will be our special guest to kick off the evening, plus the Snow King & Queen. Christmas lights will be switched on at both locations, plus more festive treats from 16:30 – 17:30. From 17:30 entertainment will continue with more carols and entertainment organised London Bridge City. 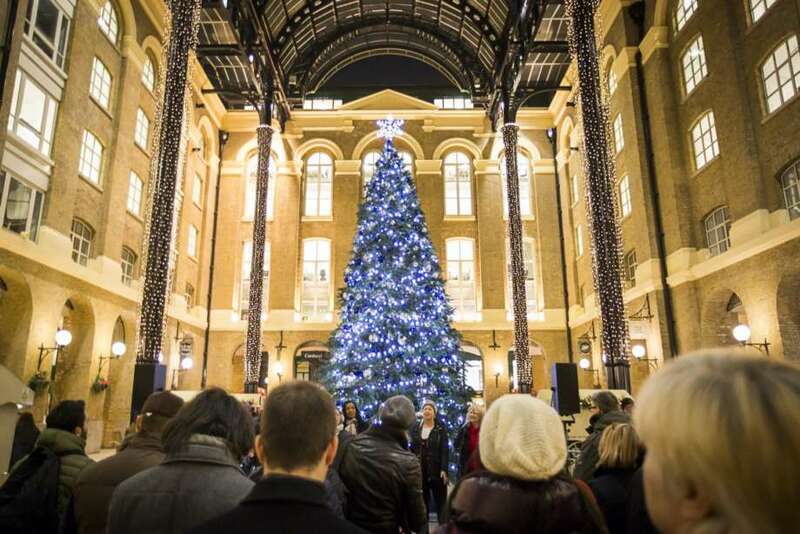 Don't miss out on an opportunity to explore Christmas by the River and visit the beautiful Hay's Galleria in all it's glory. Christmas starts here!